Blueandwhite wrote: I love every element of this one! 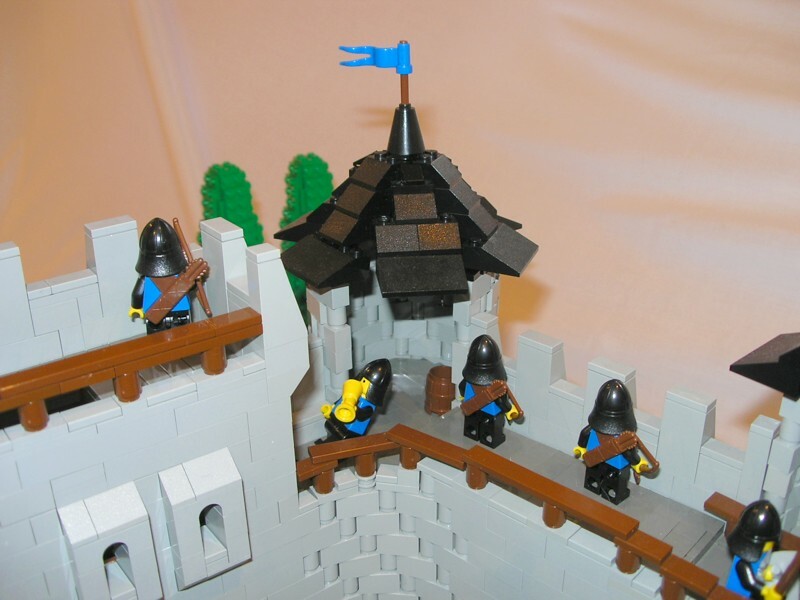 A nice, mid-sized castle that is wonderfully constructed. 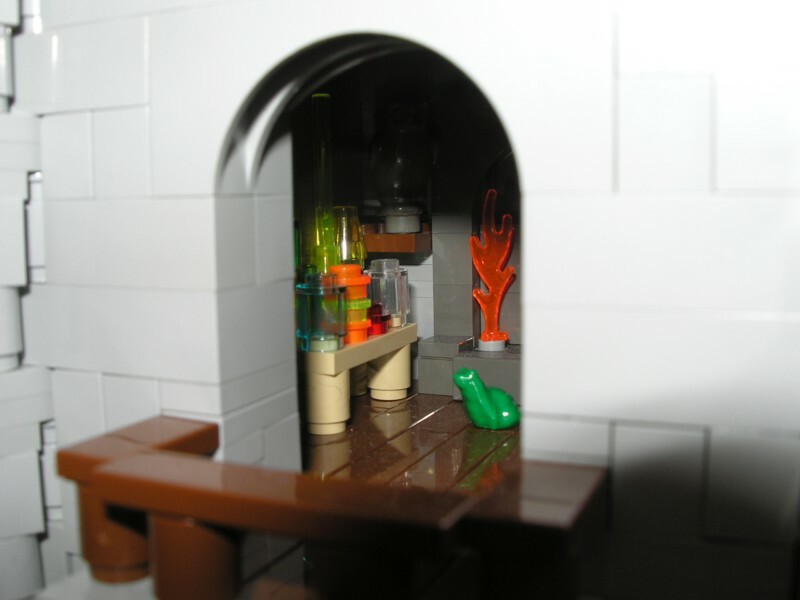 Probably the nicest MOC I've seen in the past six or so months. Thanks! I'm really glad there's so many "every element" comments - When building I try to make every piece count. I'm glad you like it so much - It was definitely challenging & fun to build. I hope to get proper pictures later today. Thanks for looking again, and let me know what you think, now that you can see it up close and personal! Thanks for the pic, Mike! I reviewed it for ya, 5/5. I'm Micael Pichula. I ow it to wunztwice for directing me here. Location: At home practicing my singing, building, or hanging around with friends. The princess inside is awsome, and I just noticed your technique in the fountain (with the water overflowing from the upper pools to the lower pool! And, again, those rounded walls are spectacular. so great job again, thanks for the pics! Exactly! Great job, Jon! 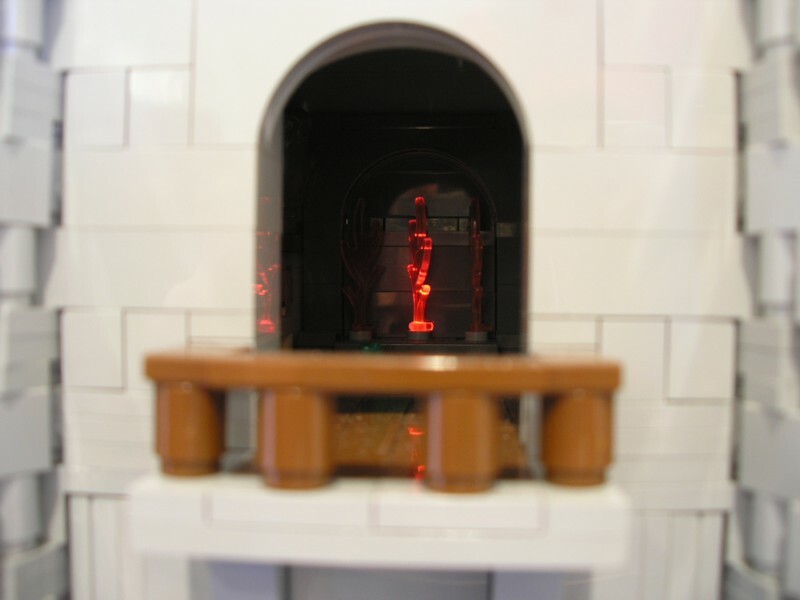 I like how much detail you packed into this MOC! Oh No! Please, No! Don't let the BF fall, Jon! Catch him! I love the way you have used bricks instead of tiles for the water. You have also pulled off using the old & new brown on different parts of the castle so well. Wow. I could honestly go on for ages. OK one more comment I also like how you have tiled every man-made floor on the MOC. I love the way you have used bricks instead of tiles for the water. You have also pulled off using the old & new brown on different parts of the castle so well. Wow. I could honestly go on for ages. OK one more comment Wink I also like how you have tiled every man-made floor on the MOC. They aren't tile floors. Well the bridge has a tiled floor, but every single other floor is SNOT. And I know for a fact there is no new brown in it. J1A3L5 is anti-new brown and the bleys. He has rust color around the river. For me, this castle has been completely mindblowing as I watched every step as it was built. The details, the different techniques, it is all so very interesting and so completely awesome. There is too much to mention that I like. Now for the delayed reaction. Ha ha! That's awsome, the guy being chased by a shark. Again, sorry for the slow-understanding. Bluesecrets wrote: And I know for a fact there is no new brown in it. J1A3L5 is anti-new brown and the bleys. He has rust color around the river. Cool - must be the lighting - as the railing in this shot & this shot looks like new brown, especailly compared to this shot. These new pix just remind me of how great this looked in person a few weeks ago. This is something you should be proud of John. NinthCircle wrote: Clever way to make the blood trail. I didn't think it was blood, I thought it was something else....ha ha ha. If you not sure what I am talking about, think ..."gong farmer". Hey John. I just thought of a question I had about this MOC. I was wondering if you could show/tell us how you made those awsome trees? Yes, I too must say thats a great way to make the trail of blood from the terrified-looking guy. Thanks all! First off, there are no new colour tones used in the model. For some reason, my photography of old brown always gives it a tinge that looks similar to new brown. The Blue Knight wrote: These new pix just remind me of how great this looked in person a few weeks ago. This is something you should be proud of John. Thanks Richard - I hope we can meet up again in the future! wunztwice wrote: Hey John. I just thought of a question I had about this MOC. I was wondering if you could show/tell us how you made those awsome trees? Basically they are made with cubes of SNOT bricks forming a 2x2x2 cube with studs in all directions, and the various pieces tacked on and sculpted to shape. I hope to make different sizes sometime. I believe each tree used 16 SNOT bricks. I hope that made sense to you; I could always send you a picture or two. I think I can figure it out from here. If I end up with trees a little different that's just fine!